Saliva has many important roles in the oral cavity. It assists with eating, speaking, swallowing and keeping the mouth healthy. Thus having a dry mouth can adversely affect the individual’s quality of life. 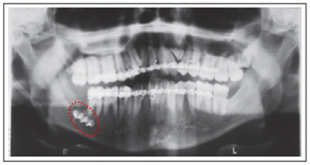 This condition is more commonly seen in the older population however, salivary gland dysfunction is not completely an age related condition, though there may be some changes in the salivary gland due to aging. The reason that a dry mouth is experienced more frequently by the older age group is possibly linked to the fact that a dry mouth is a known side effect of many medications that are usually prescribed for non-communicable diseases that are more prevalent amongst those aged 40 and above. It is also a common manifestation of many systemic diseases. The most common cause for a dry mouth in the majority of people would be an inadequate intake of water and fluids resulting in dehydration. Dehydration can also be due to the intake of substances that are diuretic, excessive physical activity and exposure to heat. Diuretics are substances that cause an increased output of urine. A commonly ingested diuretic would be caffeine. Dehydration is seen to cause a more prolonged and profound period of salivary dysfunction in older rather than younger individuals. An individual’s emotional and mental status can influence the salivary flow rate. Anxiety, fear and stress can all cause a decrease in salivary flow resulting in a dry mouth that is usually transient in nature. It should be remembered that many of these medications are for long-term use and cannot be stopped with consulting with your attending doctor. In these conditions, the severity of dry mouth is usually dependent on the severity and control of the primary medical condition. And at times, the medication used for the management of these conditions can also predispose to a dry mouth. Dry mouth associated with cancer therapy for the head & neck region is usually due to radiation-induced changes to the salivary glands that may be in close proximity to the main tumour. These changes to the glands are dependent on the dosage of radiation and are usually permanent. What are the symptoms associated with a dry mouth? Difficulty / pain when using dentures. Oral dryness is also usually more severe at night as even in normally functioning salivary glands, the saliva flow is reduced greatly when asleep. As mentioned above, a dry mouth increases the risk for oral infections, gum disease and tooth decay due to the loss of the protective effects of saliva. At times, a dry mouth may be an early symptom for other systemic diseases such as diabetes, Sjogren’s syndrome, scleroderma etc. Management is dependent upon the cause of the dry mouth. To determine the underlying cause for the dry mouth, your doctor will have to obtain a comprehensive medical history and perform a thorough clinical examination. At times, several other tests such as blood tests, urine analysis, salivary flow rate tests, x-rays or scans and even a biopsy may be necessary to determine the cause of the dry mouth. Patients with a chronic dry mouth which is not due to dehydration may require a multi-disciplinary approach involving different specialists. Oral dryness can be managed symptomatically with moisturizing agents and lubricants such as artificial saliva, which can be used throughout the day. Using sugar free chewing gums or candies can also stimulate the production of saliva. As a preventive measure against tooth decay, your dentist may recommend the use of neutral topical fluorides either in the form of gels or mouth rinse. Maintaining good oral hygiene and visiting your dentist on a regular basis can reduce the complications that arise from a dry mouth. In very severe cases, your attending specialist may prescribe medications that can increase saliva production, however these medications have several other side-effects which will be explained in detail by your attending specialist. Sip on water or sugar-free drinks throughout the day. 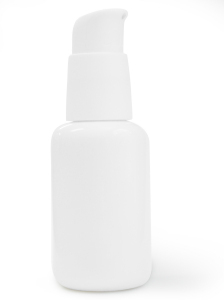 Use an atomizer/spray bottle (Figure 1) containing clean water or saliva substitutes to moisten mouth. 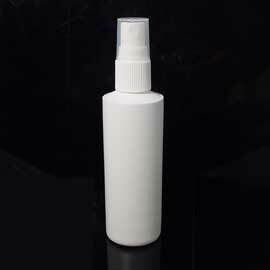 Spray the mouth hourly / when necessary. Take small sips of water with each mouthful of food. This will make chewing and swallowing easier. Eat soft and creamy foods (soups, casseroles) or foods with a high liquid content (water melon, grapes). Protect lips with lip balm. Brush twice a day with fluoridated toothpaste and floss (follow instructions given by your dentist/specialist). Maintain good denture hygiene and leave dentures out before going to sleep. If you have a dry mouth, please consult your dentist/doctor.